We break the mold for episode 50 and bring you an entirely different format for this show. At the request of you, the listener, we present a look back at some highlights from the previous 49 episodes. First we take a listen to 10 of our favorite guest moments from cast and crew members who have joined the show over the years; from Nathan Hoobler to Andre Stojka to Chuck Bolte and more. Next we play a reel of a few funny moments from the hosts. 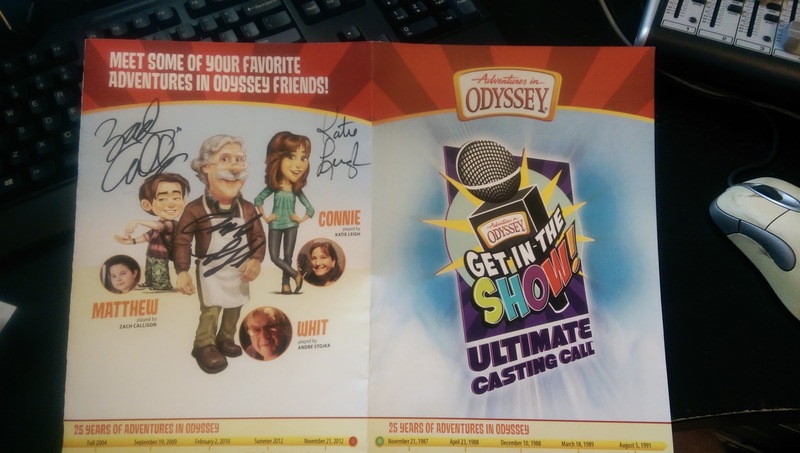 Then we dive into a discussion about our thoughts on the future of Adventures in Odyssey. We also share an update on our audio drama project, The Cross Maker, and play a bit of the opening scene. We then cap off the episode with the biggest giveaway in ATC history, thanks to some great partners. 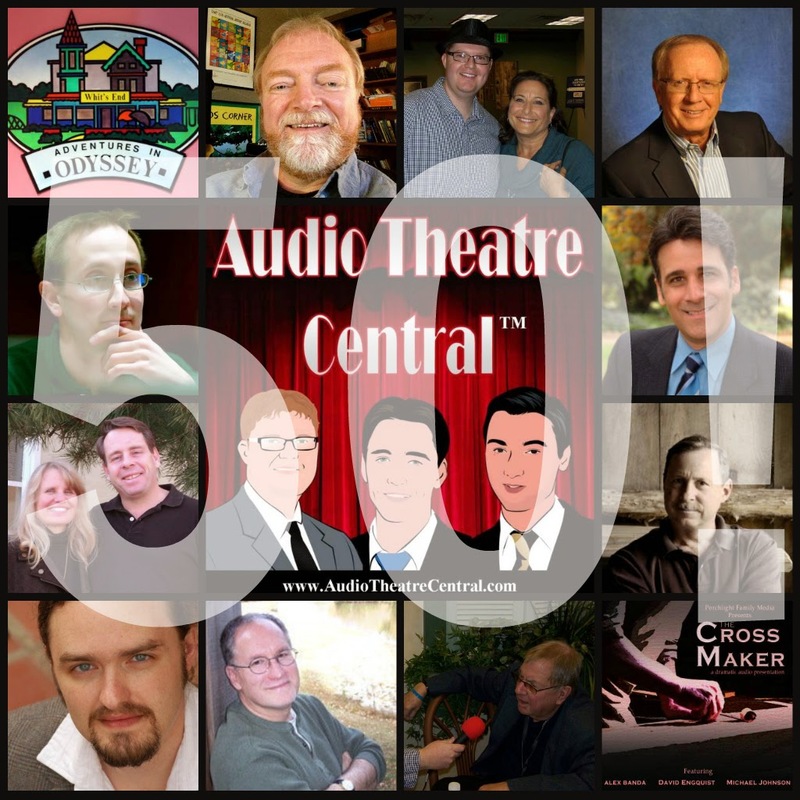 We want to take this time to thank all the wonderful folks who have been a guest on Audio Theatre Central over the past 49 episodes. Your contributions have made the show much better. Also, thank you to everyone of you who have been loyal listeners of the show. Thanks for all your comments on the blog, emails and voice messages. You're feedback has made Audio Theatre Central a conversation about great audio drama, which is exactly what we hoped to accomplish. You're awesome! Producer's Note: This episode was recorded prior to the AIO team releasing episode 1 of The Ties That Bind for free on the Official AIO podcast so some of our thoughts on Album 58 were proven to be incorrect. Christopher put together two different versions of his own picks for great segments from our past episodes. Due to time constraints, we couldn't include them in the episode, but we wanted to share his work with you so here they are! We share the first two minutes of our audio drama, The Cross Maker. The Big 50th Episode Giveaway! Thanks to the great folks at The Creation Adventure Family, The Brinkman Adventures and CreationWorks for providing these awesome gifts to celebrate with us! Entries into this giveaway will be closed on July 13, 2014.